Happy April 420 Week in Denver! 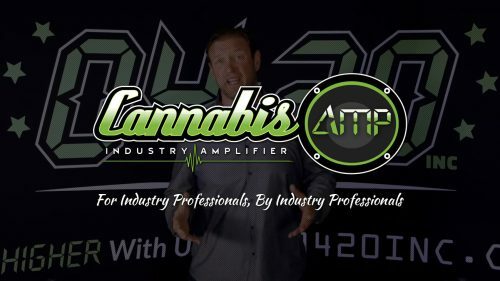 - 0420 Inc.
Home » Cannabis Industry News » Happy April 420 Week in Denver! Happy April 420 Week in Denver! Cannabis has come a long way since Denver held its first annual 4/20 Rally back in 2007. In the eleven years since the rally began, much of the nation has embraced marijuana–thirty states and the District of Columbia currently have legal cannabis in some form. 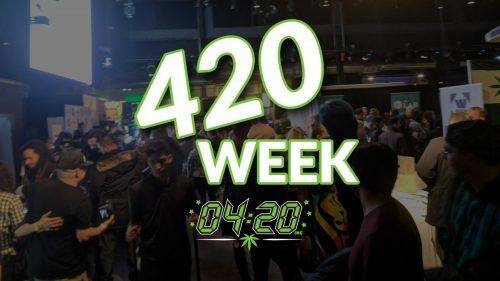 And along with the growing acceptance of cannabis, the celebration of cannabis culture in the Mile High City has grown from one annual rally to a week chock full of 4/20 events. When it comes to weed in 2018, there’s less to protest and more to celebrate–so it makes sense that this year’s 4/20 revels at Civic Center Park have been dubbed a festival, rather than a rally. The festival is free and will feature live music, comedy, yoga and other wellness activities, food trucks, cannabis craft vendors, and more than 20 local charities. Festival headliners include Lil Wayne, Lil Jon, Inner Circle, and The Original Wailers. This first-time event will offer health screenings, medical marijuana provider sign-ups, culinary demonstrations, industry panel discussions, and more. Event organizers describe the fair as supporting independent businesses and creatives in Denver’s River North (RiNo) Art District, and 30% of vendor booth fees will be donated to provide care, resources and support for Veterans in Colorado. The free, 21-and-up event will take place at Cultivated Synergy. Furthering the conversation around marijuana, speakers at this event will discuss topics ranging from the commercialization and medical uses of cannabis to pop culture and politics. Speakers include Dr. Doris Gundersen, an Assistant Clinical Professor in the Department of Psychiatry at the University of Colorado, lawyer Christian Sederberg, Esq., a founding partner in a law firm described by Rolling Stone Magazine as “the country’s first powerhouse marijuana law firm,” and Wanda James, who along with her husband, Scott Durrah, was the first African-American to own a dispensary and edible company. Hang with cannabis industry workers and enthusiasts at Sensi Magazine’s second annual event. There will be over 120 Colorado companies on site to answer all your product and brand questions. The free, 21-and-up event will take place at two locations on Broadway. Register here. “Because I Got High” isn’t just a song by rapper Afroman, it’s also an excellent, all-purpose explanation for stoner mistakes. Afroman is performing at the Gothic for an early 5:30 pm show, along with David Frederick and SwizZy B.
Colorado’s legendary music venue is host to three nights of concerts in honor of the stoner holiday. See 311, Method Man & Redman on April 19, followed by Flosstradamus on April 20. On April 21, see Opuio + SYZYGY Orchestra and Sunsquabi. The first stop of Snoop’s four-city tour is an all-ages event at Fiddler’s Green Amphitheatre, Snoop co-headlines with Migos and other performers include Lil Pump, Rob Stone, and Tiara Thomas. Get tickets here. Check out our buddy Shorter Tall Guy doing an amazing 40g dab all at once, plus see him as a judge at the main event of this competitive concentrates tasting. The three-day music fest sponsored by The Green Solution, will feature headliner Action Bronson, along with Matisyahu, Michael Menert, Break Science, Washed Out, and more at the Fox Street Compound. Purchase tickets for the event here. After a busy week of 4/20 festivities, chill out with this 21-and-up, yoga-meets-cannabis brunch event. Hosted by Urban Sanctuary Yoga, there will be space for consumption (make sure to bring your own weed), a healthy breakfast, and an uplifting vinyasa yoga class, followed up by CBD massages. The Good Vibe Mafia will be gathering at Rino Yoga Social on April 28th at 2 p.m. for a mindful yoga class lead by Amanda Learned. All proceeds will benefit The Food Bank of the Rockies; a local Denver based charity providing food for those in need. Share this 0420 Inc. content with a friend! 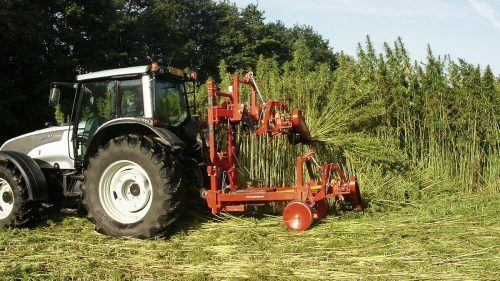 Americans have all wanted to know how to invest in hemp farms since the 2018 Farm Bill was signed. The time to capitalize is right now in 2019 and sitting back one year could mean you’re missing out on the opportunity of a lifetime that may never come again. Copyright © 2019 0420 Inc. | All Rights Reserved. Get industry news, special offers, events, opportunities and MORE all FREE!